By how much? Read on. Toyota decided to skip a model year for its . It used that time well and now the Tundra TRD Pro returns for 2019 with several upgrades, all of which combine to make it a more focused and serious competitor to the Ford F-150 Raptor. And because of these upgrades, the 2019 Tundra TRD Pro is receiving a significant price increase. 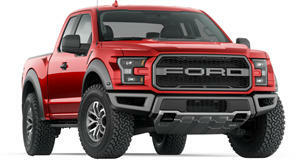 But will it be more or less expensive than the pricey Raptor? First uncovered by , the 2019 TRD Pro CrewMax will carry a base price of $51,275, including destination. That’s $3,870 more than it cost in 2017. 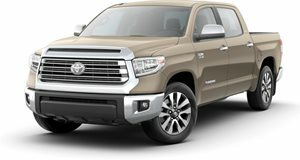 What about the 2019 TRD Pro Double Cab? It’s dead, Jim. A Toyota spokesperson confirmed to Cars Direct the TRD Pro will be CrewMax only for 2019. So, how does the 2019 TRD Pro pricing compare to the Raptor? Unfortunately, Ford has yet to release official pricing for the . What we already know is 2018 Raptor pricing, so that’s the best comparison we can make for now. The 2018 Raptor starts at $52,170 for the SuperCab and $55,155 for the SuperCrew. The quick math reveals an $895 difference between the cheapest ’18 Raptor and ’19 TRD Pro. Bear in mind, however, there’s still a significant $3,880 gap separating the crew cab models. Chances are, the 2019 Raptor will see a price increase that reflects the upgrades as well as good old inflation. But if Ford manages to limit the price increases, at least the base price, by as much as possible, then the Raptor will likely continue to be a more attractive option for those seeking this type of truck. The TRD Pro is without question a fantastic off-roader, but the Raptor has rightly ruled this segment for years and we don’t see that changing for the upcoming model year.